I’m going to be in Japan in the next couple of weeks, and have confirmed my first live outing as unexpected bowtie, at Space Station in Osaka, which is apparently in the ‘Top 30 Recommended Sights of Japan as Chosen by Foreign Visitors‘. 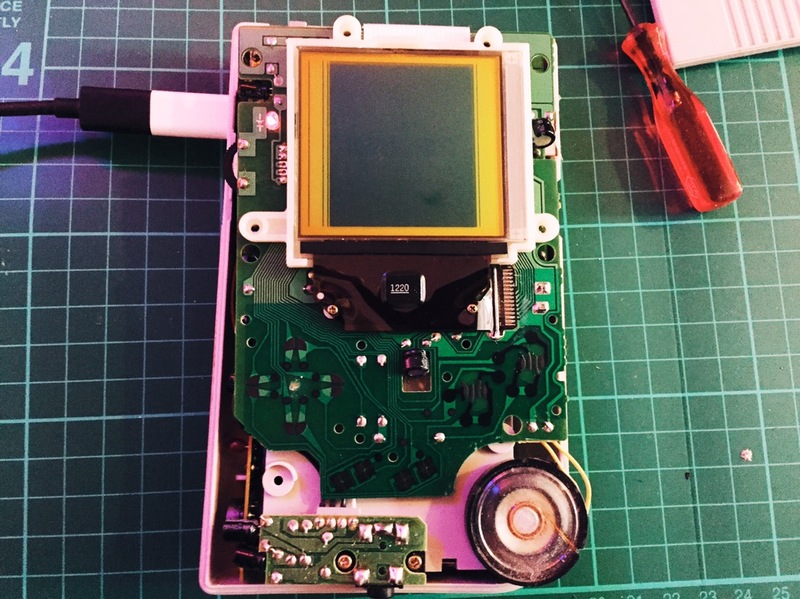 The set will be stripped down to a single Game Boy only, given that we are travelling, so should be something a little different. If you happen to be in the area, it’d be awesome to see you there! To mark the occasion, I’ve written a new track that’s up now on Soundcloud. 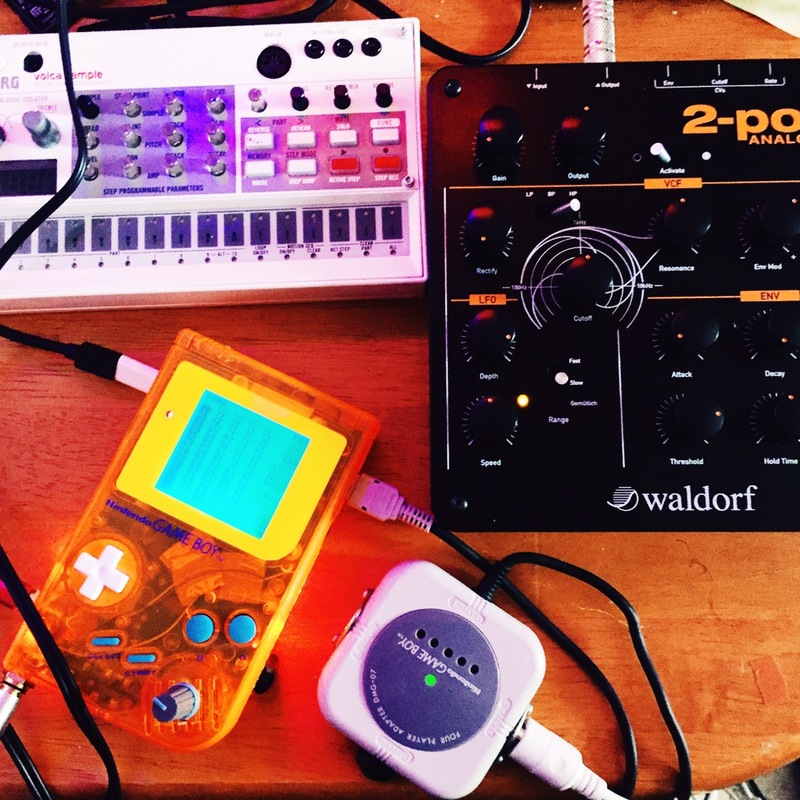 Composition wise, it’s just a single Game Boy, with a tiny little added bit of Commodore 64, and extra drums. Enjoy! One of the tracks that I recorded and re-mashed for a future release with Origami Sunflower is used on a new video that I stuck together for the BBC Social. 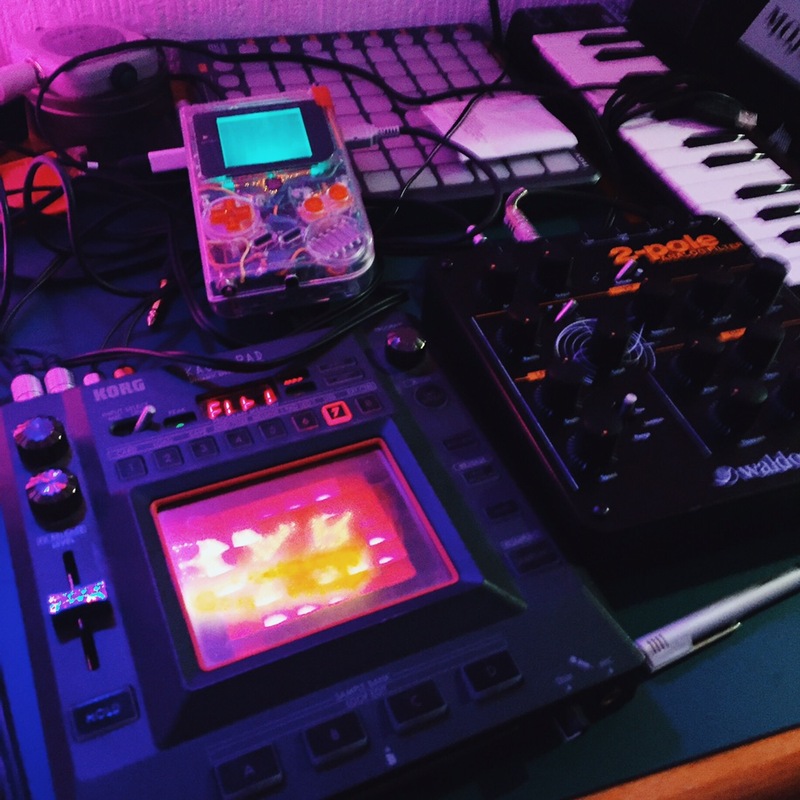 Over the past couple of months I’ve been acquiring different bits of gear in a sort of obsessive kleptomaniac fashion to build upon the basic foundations of chiptune, and explore the different things I can do with it. 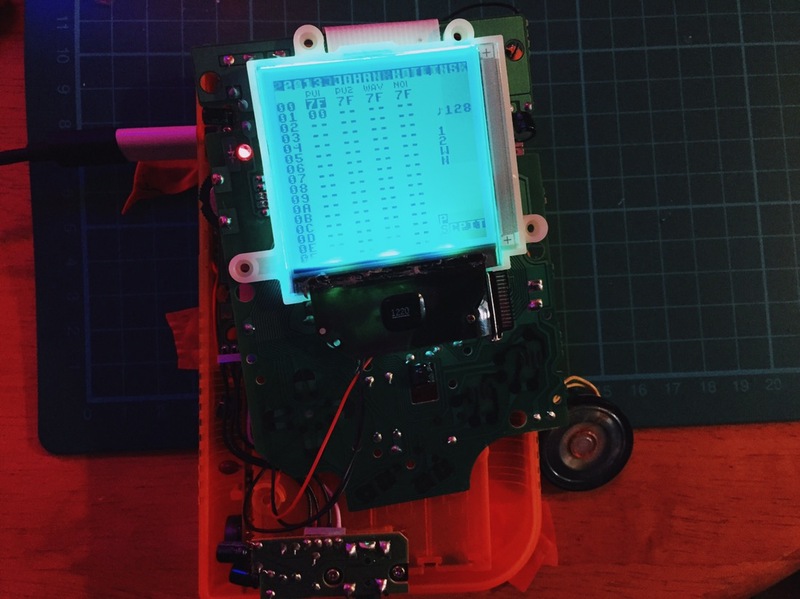 As part of that, I’ve gotten a bunch of cool (and definitely not cheap) hardware sequencers… but I find myself constantly coming back to the Game Boy. 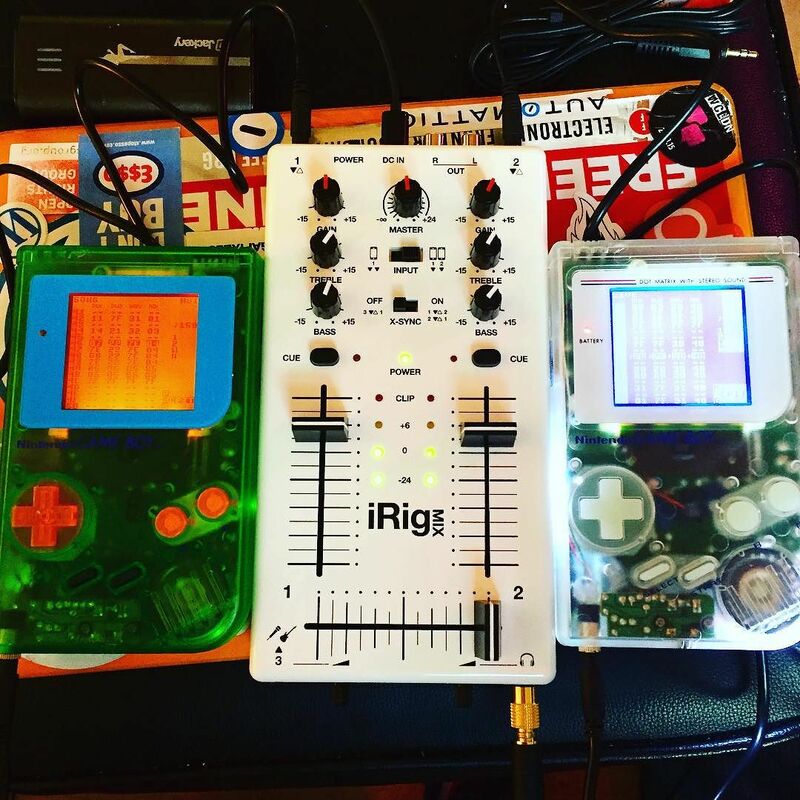 Musicians in the chiptune world often talk about the limitations of the console as one of the things that inspires them. For me, it’s probably the opposite: I am amazed at just how powerful these old handhelds can be, controlling all sorts of different gear. Primarily though, I just love composing on LSDJ. 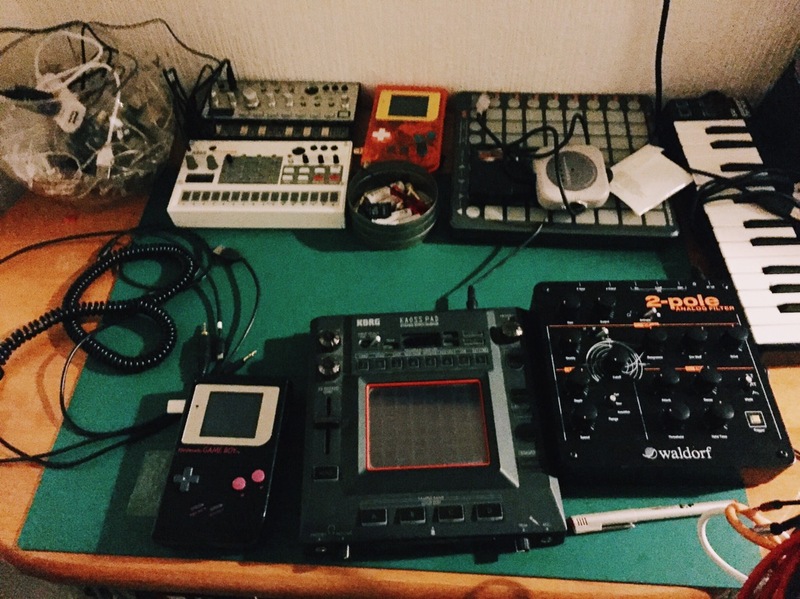 The natural progression from drouth feels like it lies in an album that still has its roots firmly in the chipmusic world (composed entirely on a Game Boy – with the DMG sounds in the mix) – but with a deeper electronic influence, with the handheld sequencing other synthesisers to a greater degree. Me, making music on my latest modified Gameboy, by my old pal Neil Slorance, thanks to my other half. There’s always the risk that it could have been my crappy soldering, which meant testing out every possible step. So many variables. 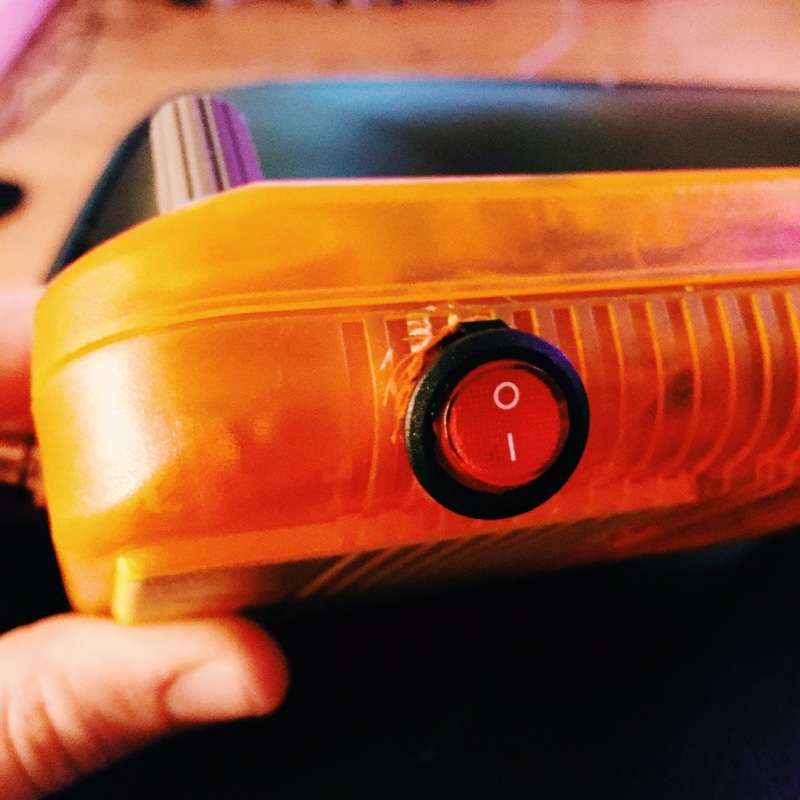 Surprisingly, it wasn’t actually any of the Gameboys, but the mixer. To finish off, here’s a picture of my tidied up workspace. On Friday I spent some time in the studio working on different tracks. One of them was an experimental cover of ‘Somewhere Over the Rainbow’ with my sister and her boyfriend singing and playing guitar. They studied music at University, and it was nice to record with people who knew what they were doing. We used a bunch of different effects to layer the sound up, and I added in chip drums later on. I could imagine it being played at a f**** up fun fare with porcelain dolls singing as they go round in a Ferris wheel. 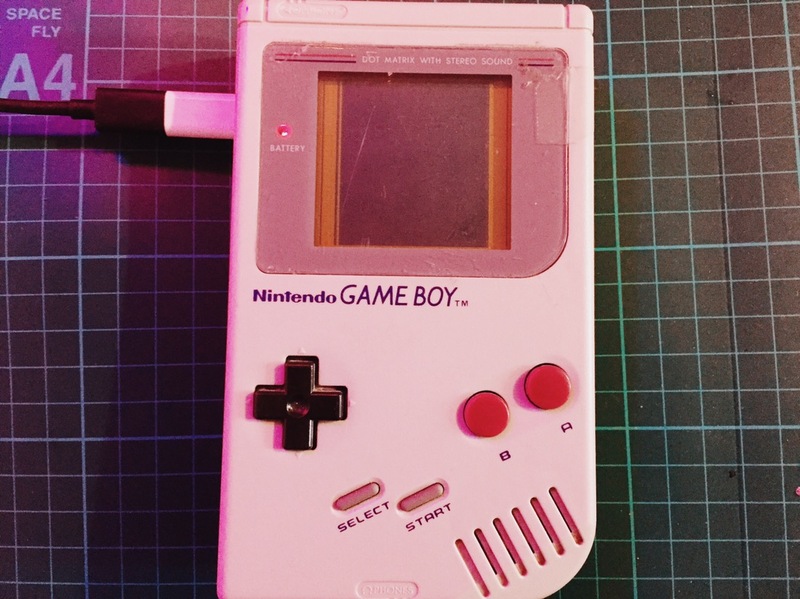 One of my work colleagues read about my Gameboy fiddling and kindly posted up one of his old grey DMGs that was destined for the charity shop to see if I could do anything with it. I decided to document its transition. It was in the kind of standard condition for a used Greyboy of its age. The case was a bit roughed up and the LCD screen had vertical lines of dead pixels at either end. You can make them out below. First things first was to see if I could fix that, as if the screen was dud, it would only really be worth spare parts. Luckily, it’s a pretty simple job, and before long the screen was as good as new. With that, it was time to set about preparing the screen to put a backlight in. 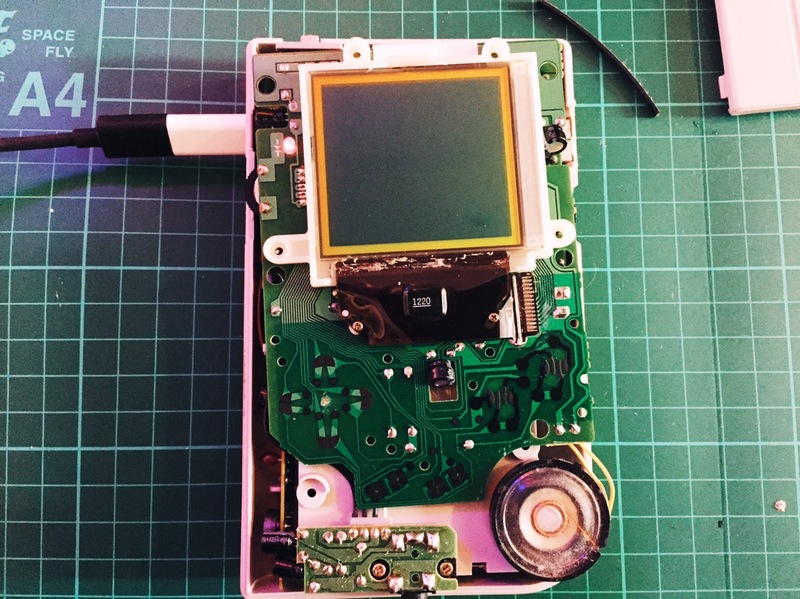 The old Gameboy screen was always a nightmare to see, so installing a new LED light source is a must. It’s also a tricky process, involving removing the foil back off of the screen itself. One wrong move and you can trash the whole thing. 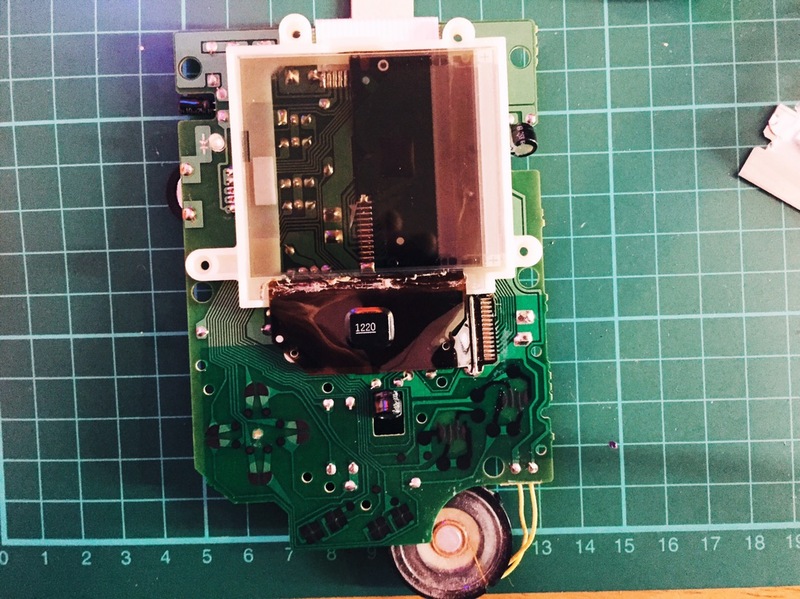 As it turned out, the adhesive on this particular Gameboy hadn’t corroded away, meaning it was a pretty smooth and simple process. 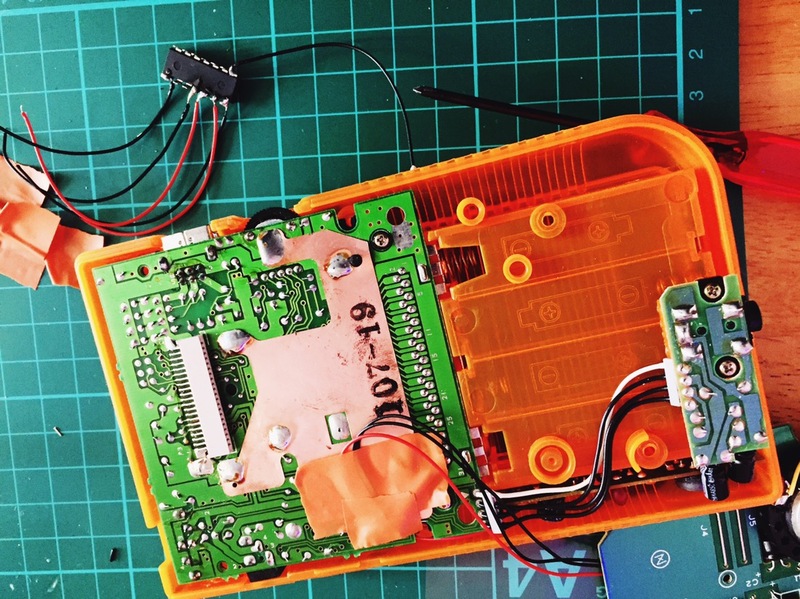 Then I put the Gameboy guts into a new case: transparent orange, which is a colour that was never available for the DMGs back in the day as far as I’m aware. Next up, I installed a hex inverter chip to ‘bivert’ the screen. The new backlight polarising filter inverts the screen already, and so this step inverts it back to the regular display type, increasing the contrast in the process. It’s fiddly, but drastically improves the clarity. I’m pretty blind, so any picture improvement is a win. 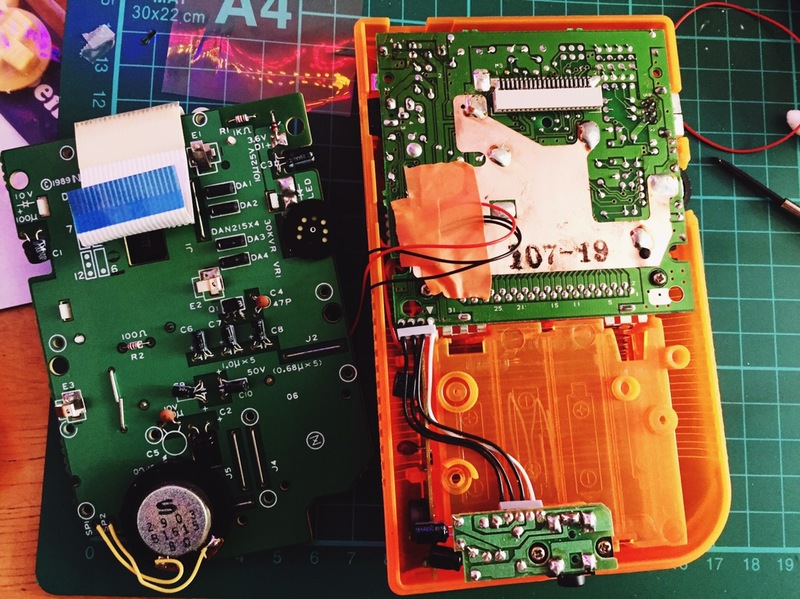 It took a while as I didn’t realise that the backlight kit was missing a crucial resistor, and I had to go through each step to test it all again. A good lesson in not trying to do too many things at once. Here’s the screen all lit up and biverted. Next was installing a pitch oscillator that I had had lying about for ages. In other words, a small knob that changes the clock speed of the Gameboy to run faster or slower. What’s the point in that? For games it helps speed up boring parts that you can’t skip, but for music it lets you slow down or speed up things with the corresponding pitch change. Pretty damn cool. 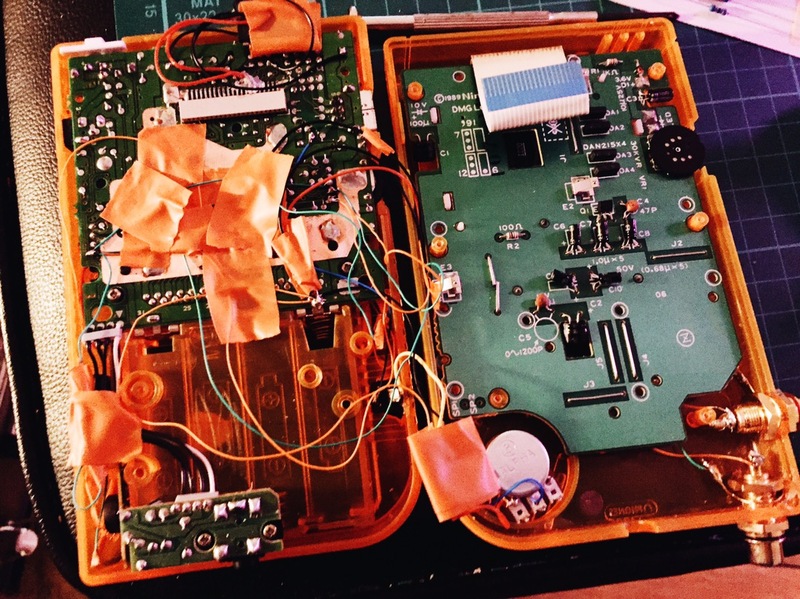 The potentiometer fits into the space where the speaker sits, so it had to go. I also wired up two RCA jacks for line level audio output. This wasn’t the ideal place to put them, but space was tight because of the other mods. I had begun to install a 3.5mm line out in the same position, but realised that the plastic seemed to be much thicker than in the other model I had done this on, and so the barrel was too short to fit through. RCA it is! There was a lot of wires in there by this point. 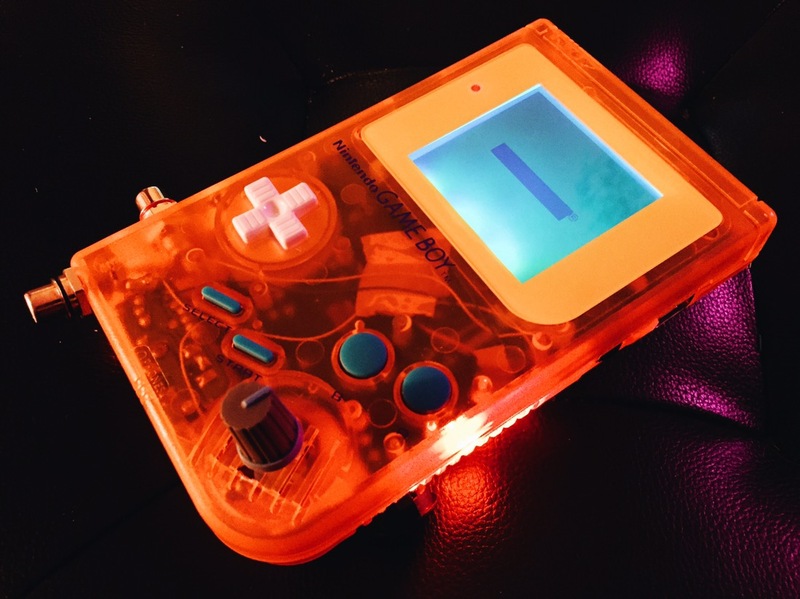 Just for fun, I decided to throw in some orange LED lights to give the case a nice glow. By the end of that, it was a bit tricky getting the case to go back together neatly. 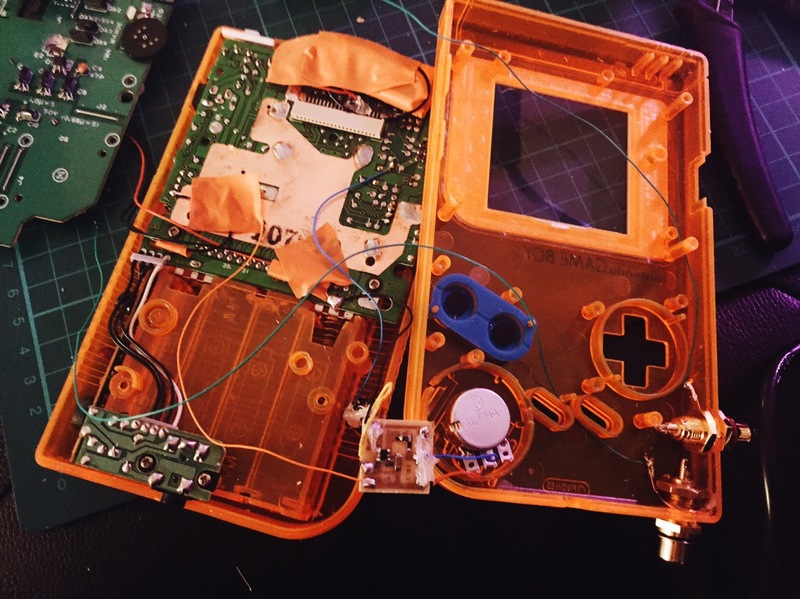 The case cutting and drilling leaves a lot to be desired, with rough edges obscured by the buttons and pots… But you can’t really notice. Despite that, I’m pretty pleased with the end result. 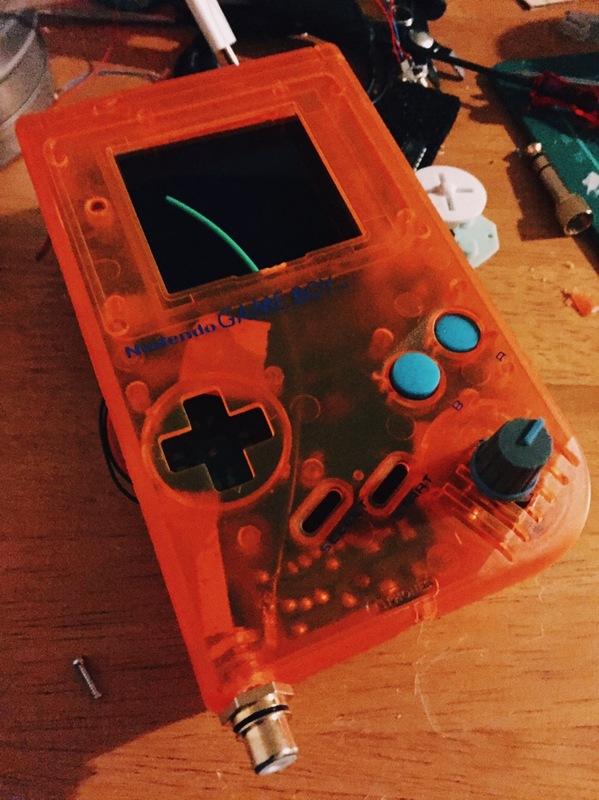 Everything works, I learned a fair bit, and an old Gameboy has a new lease of life. Today marks the return of the X-Files. To mark the occasion, I’ve come up with a chiptune tribute: ‘toads just fell from the sky’.